Pretty stone property in a hamlet with stunning views. Lovely property with three bedrooms, good sized enclosed garden. Great location in a . . . 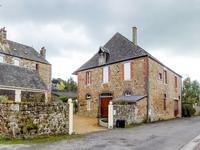 Superb equestrian property in the heart of the Normandy countryside, wonderfully renovated in a peaceful hamlet. The property stands in its own grounds of 20 acres, overlooking a valley of adjoining land . . .
Charming stone property beautifully restored, five bedrooms and further development potential, walking distance to village with amenities. Renovated to the highest standard retaining all the old character combined with all the . . .
A hidden gem, beautifully restored stone house, outstanding views in the heart of a popular village. Charming 3 bedroom detached stone house oozing with character in tranquil spot, just a few . . . Character 3 bedroom house with almost a hectare of land, set in attractive countryside. 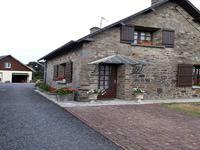 A lovely, traditional country house situated in a peaceful hamlet, with 3 bedrooms and a 1/3 . . . Stunning House - With lovely water features. 3-5 bedrooms, set in countryside. Scope to extend. Approx 1 acre. 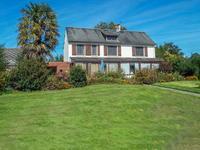 Set in beautiful grounds with stream running through, very private and picturesque property. . . . Situated in Calvados between St Sever and Vire approx. 15km from the A84 motorway it is . . .
Great location too....Walking distance to small town of St Sever yet surrounded by stunning . . .
Secluded family home with gites, lake and equestrian possibilities. Really lovely, private location, and sweeping views. Nestled at the end of its own private drive this property benefits from extensive easily . . .
2 in 1 - Either a 2 + 3 bed house, or a large 5 bed house all to yourself - really lovely home. Very quirky property, set in a small quiet hamlet, offering amazing views. 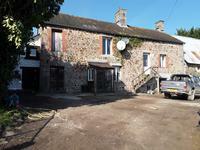 Lovely Normandy stone cottage plus large double garage with separate apartment above it. Views all around. Located within walking distance of Landelles et Coupigny a lovely village with amenities, and . . .
Great opportunity to buy TWO houses set in approx 1 acre of land in countryside location. 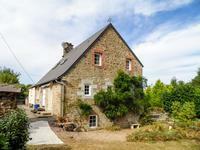 Between the towns of Villedieu-les-Poeles and St Sever, so all amenities with 5-10 minutes. . . .